Galco Hidden Agenda Handgun Carrying Case FREE SHIPPING! 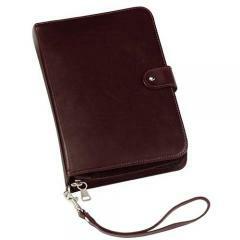 The Hidden Agenda® is a handgun carrying case that is also a fully functional day planner. The separation of holster compartment and business tools puts it on the self-defense agenda in settings that require complete discretion. It comes with a Day Runner calendar and pad of ruled paper. See approved fit list by using "Holster Search By Gun Model" to confirm your Gun fits. Or call. ©2002-2019 CopsPlus.com: Galco Hidden Agenda Handgun Carrying Case FREE SHIPPING!